PHILADELPHIA — A psychiatrist considered a trailblazer in the gay rights movement for appearing in a mask before his colleagues at a 1972 convention to announce his homosexuality is being honored in Philadelphia. 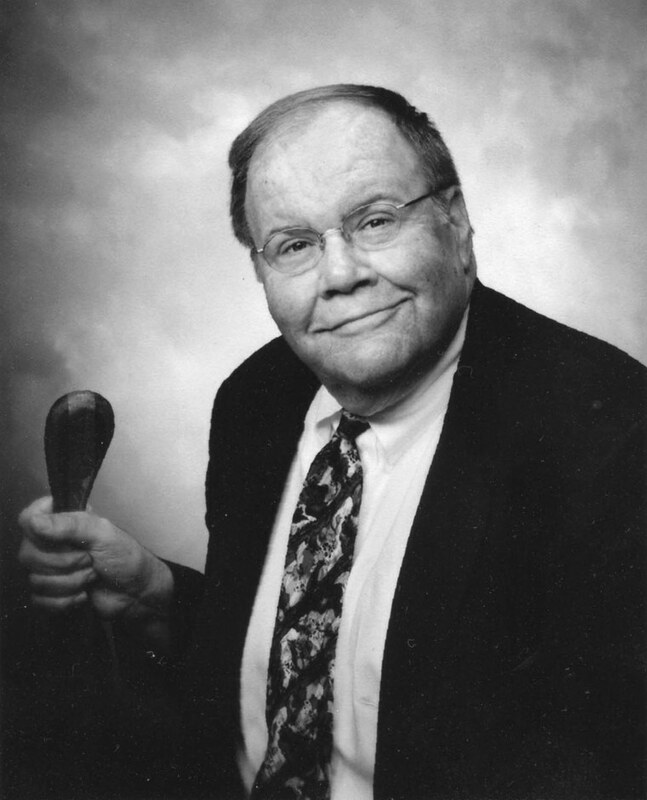 Dr. John E. Fryer's actions are credited with paving the way for the American Psychiatric Association to remove homosexuality from its list of mental disorders a year after his speech. On Tuesday, a historical marker about Fryer will be unveiled in the Gayborhood — Philadelphia's main social hub for LGBTQ residents — and across the street from the Historical Society of Pennsylvania, which houses Fryer's archives. "What John Fryer did was monumental," said Malcolm Lazin, executive director of Equality Forum, a Philadelphia-based gay rights group that applied for the marker. Before it was delisted as a mental illness, treatment for homosexuality included chemical castration, electric shock therapy, mental institutionalization and lobotomies. "Who would want to come out if they were subject to chemical castration or being institutionalized? Who would come out if they could be fired from their job?" Lazin said. "The system was so stacked against gays and lesbians." Appearing as Dr. H. Anonymous, Fryer wore a mask, big curly wig and used a voice-distorting microphone in his address at the association's meeting in Dallas. "I am a homosexual. I am a psychiatrist," he said. He then told the group that he had suffered discrimination and had to remain anonymous because being gay would cost him his job. At the time, he was an untenured professor at Temple University. The following year, after much debate and discussion, the American Psychiatric Association's board of trustees removed homosexuality from the Diagnostic and Statistical Manual of Mental Disorders, the profession's bible. "It made a big difference," late gay-rights activist Barbara Gittings told The Associated Press after Fryer's death in 2003. She recruited Fryer for the appearance. "It opened up things a great deal, because it made many psychiatrists realize gays were not some abstract idea, but were in fact in their profession." Dr. Saul Levin, the current CEO and medical director of the American Psychiatric Association, is openly gay and will be the keynote speaker at the unveiling. "This dedication shows just how much progress has been made since Dr. Fryer staged his masked protest more than 40 years ago," Levin said. "He was a hero to me and to countless others in the LGBT community." In a 1985 bulletin of the Association of Gay and Lesbian Psychiatrists, Fryer wrote that the appearance was "something that had to be done." "I had been thrown out of a residency because I was gay. I lost a job because I was gay ... It had to be said, but I couldn't do it as me." He was terminated from his psychiatry residency program at the University of Pennsylvania's School of Medicine in the 1960s when it was discovered he was gay. Ahead of the marker unveiling, the school sent a letter of support signed by J. Larry Jameson, executive vice president of the Health System and dean of Penn's Perelman School of Medicine. "Dr. Fryer's crucial research and advocacy helped to ensure equitable treatment for LGBT patients and professionals in academic medical centers and by health care professionals across the United States and around the world," Jameson wrote. In 2014, Penn Medicine established the annual John E. Fryer Lecture in Medicine to pay tribute to his pioneering efforts. The goal is to improve the body of knowledge necessary to provide care to the LGBTQ community. State Rep. Brian Sims, an openly gay Democratic legislator whose district encompasses the new marker, said he is thrilled to see Fryer honored. He said Fryer's actions paved the way for his current push for legislation banning therapists from trying to change people's sexual orientation, known as gay conversion therapy. "I would not be able to introduce this legislation without the support of the nationwide medical authorities, and he broke that barrier," Sims said. The American Psychological Association and other mental health groups say conversion therapy, sometimes called reparative therapy, wrongly treats being gay as a mental illness and may make young people feel ashamed, anxious and depressed. "This guy is someone who has had a very palpable impact on every LGBT person in the country," Sims said.